Get more data analytics around your accruals. 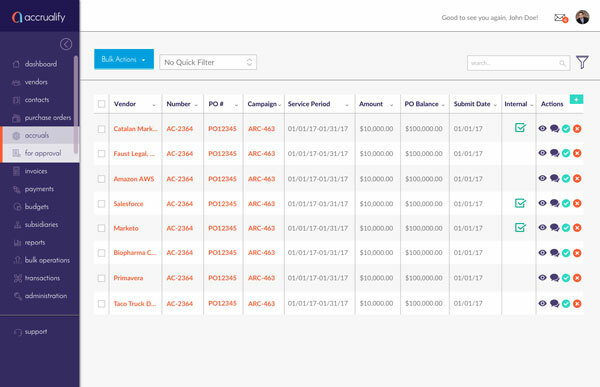 See vendor response rates, average response times, and more. 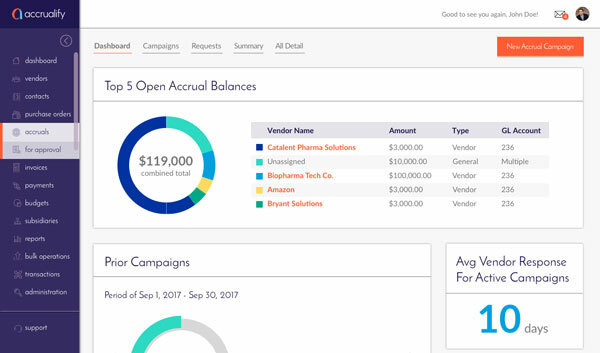 With more features at the accrual campaign level, you can now see more stats tied to a campaign, add vendors to an active campaign, edit a live campaign, and more. 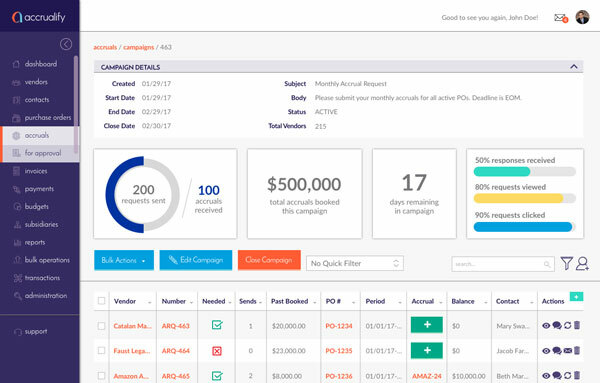 Now your team can apply approval workflows to accrual estimates just like an invoice or payment. This gives your team more control over your books. 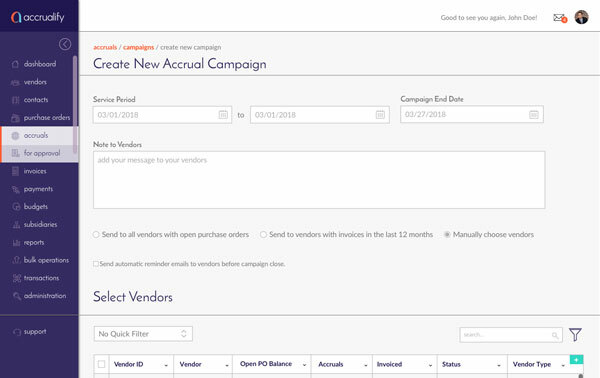 With the new campaign creator, you have the option to set a campaign close days, automatically send vendors email reminders, and even use preset controls to select vendors to add to your campaign.